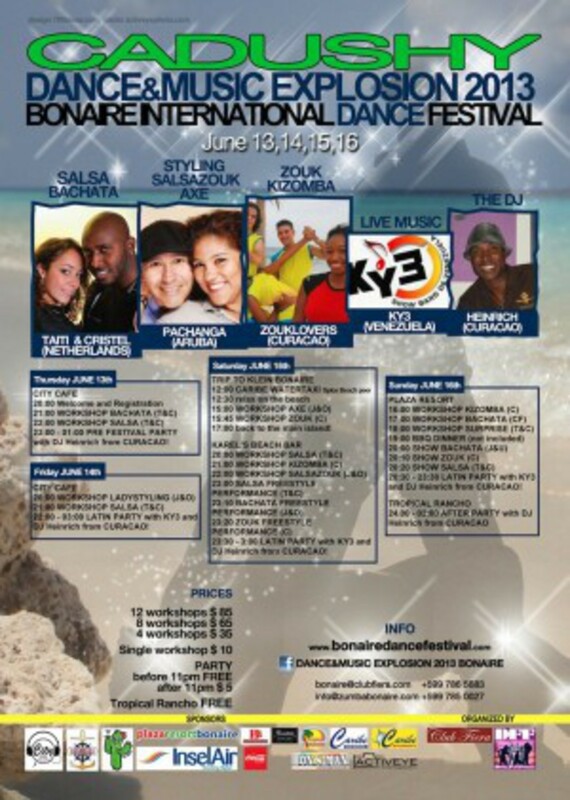 BONAIRE INTERNATIONAL DANCE FESTIVAL : DANCE & MUSIC EXPLOSION 2013! Last year festival edition was a success: 8 hours of workshops attended by more than 60 people, 22 hours of parties where more than 900 people were dancing, 9 countries represented, including Switzerland, 4 shows and 4 freestyle performances, more than 2000 hits on youtube promotional videos and counting. Thursday 13th, Friday 14th, Saturday 15th and Sunday 16th of June.